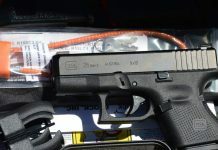 I’ve been carrying the Armament Systems and Procedures Tungsten. It’s an exceptional handheld flashlight that carries well, an ergonomic 450 lumen package. Check the link for my full review. But what if you need to see further? What if you require a brighter light? What are the options then? ASP’s Turbo DF has the same control layout of it’s little brother, the Tungsten. It uses the same battery and holds a very similar profile. 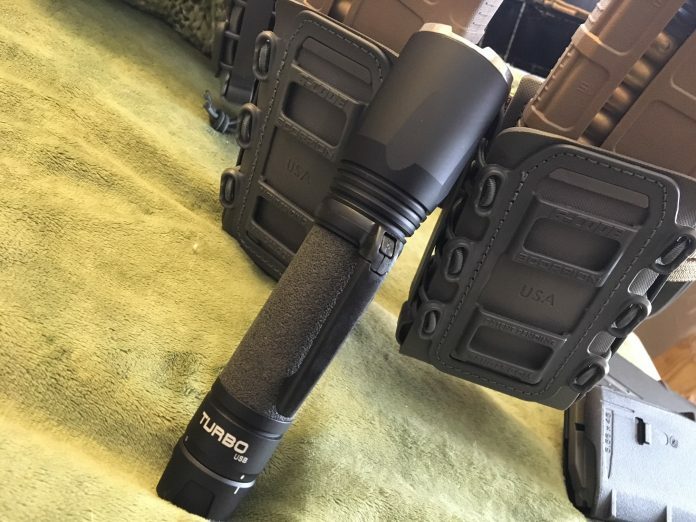 The Turbo has a 780 Lumen rating with it’s included 18650 rechargeable battery. 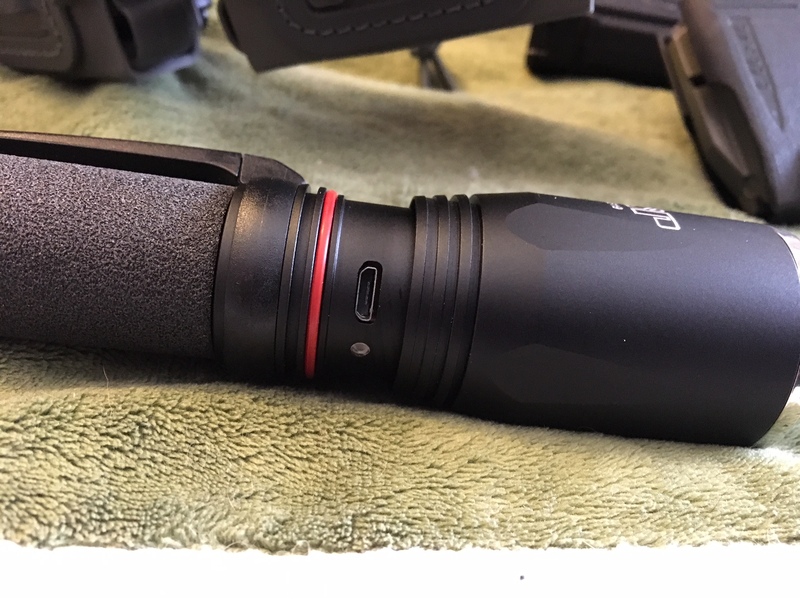 Like the Tungsten it gets a 10-15% lumen boost when used with CR123A Li-Ion batteries. 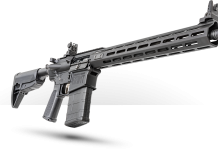 The Turbo is an inch longer at 6.75″, a half an inch wider at 1.4″ at the reflector, and a little over an ounce heavier at 5.4 oz over the 4.2 oz of the Tungsten. 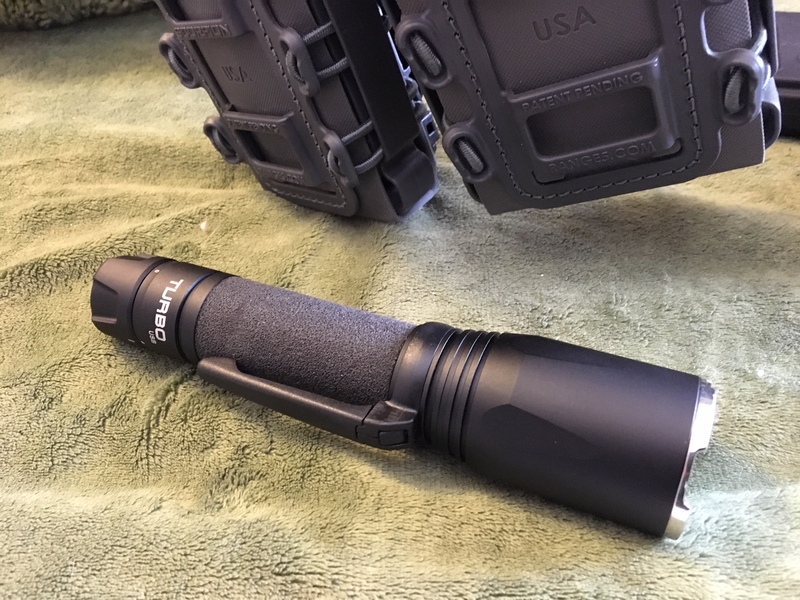 It’s not so much an easy EDC handheld flashlight as it is a compact tactical handheld. It’s small enough and plenty comfortable to carry in a belt pouch or on a vest. 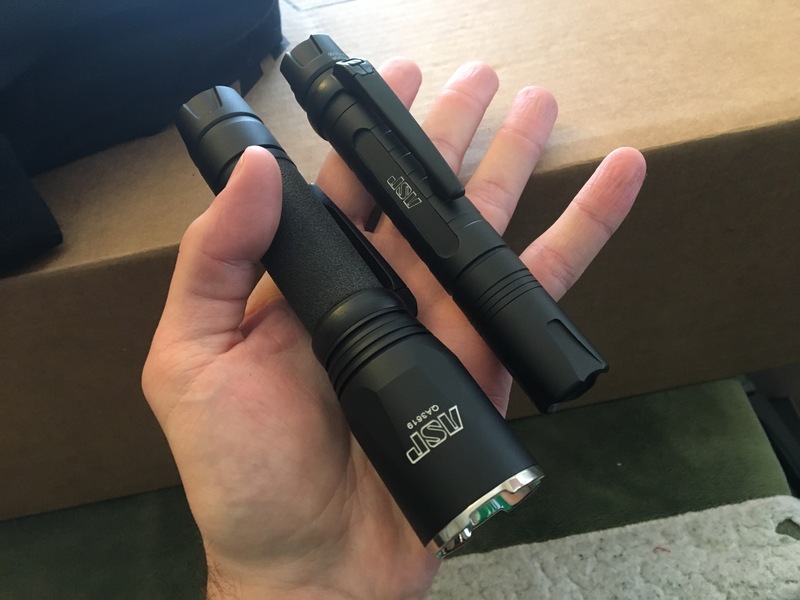 The length and reflector size make it a little large for convenient conventional EDC but it is doable depending on how you’re dressed. The high polish bezel is conventionally crenelated with the stand off/glass breaker on the housing. 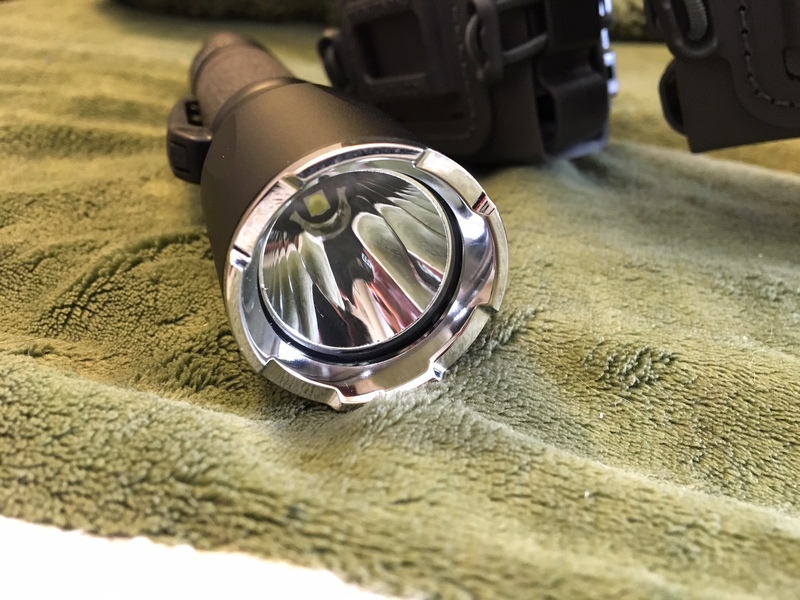 It’s reflector provides three distinct illumination zones with a bright concentrated center, a semi-bright middle ring, and a low lumen outer ring that approximately doubles the diameter of the other two. The listed range of illumination is 233 meters before diffusion is beyond usefulness. A quarter kilometer of light. 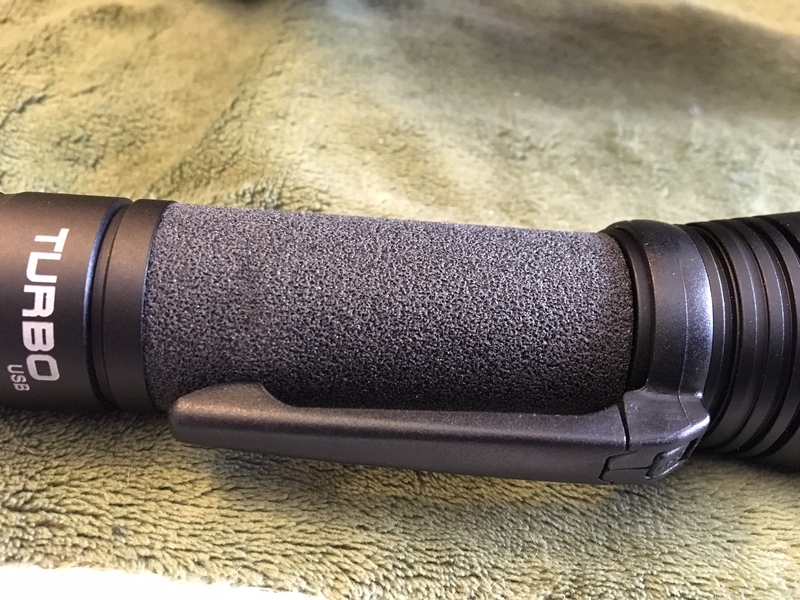 The mildly thicker grip is padded with a soft pliant foam. 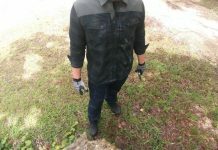 Comfortable, works very well with gloves, and allows for a much less slippery grip if wetness is introduced from rain, sweat, or another source. 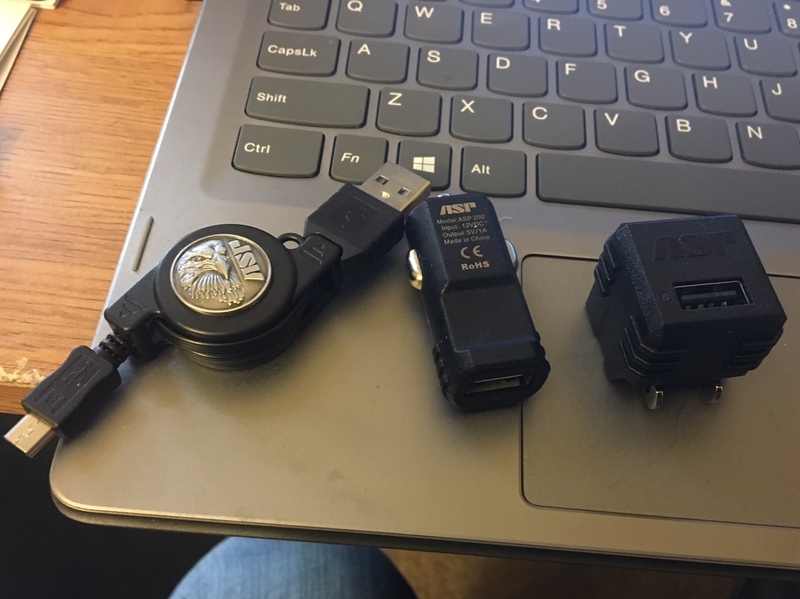 In keeping with the “Dual Fuel” concept ASP is integrating into many of their lights the Turbo is USB rechargeable and has an impressive 2 hour battery life. If you suspect the light is getting low on power just plug it in. If it goes out and you need an immediate light, add two CR123A batteries. The Turbo has exhibited every quality I found in the Tungsten. The differences in size and capability are more relevant to you readers than a repeat of facets from a similar product that Armament Systems and Procedures offers. Now the only question is which would fit your needs closest. I carry the Tungsten daily and have the Turbo as a kit light. ASP continues to provide products that fit my requirements and requests when it comes to illumination.